This month, we are pleased to present a report from a recent workshop in Namibia related to two of IPSI’s collaborative activities: COMDEKS, and the development of a set of Indicators for Resilience in SEPLS. We also have a report from IPSI member JICA’s recent trip to Malaysia, and an introduction to one of IPSI’s newest members, FIDES, which works in Ecuador. We would also like to bring your attention to two recent publications concerning SEPLS, from some of IPSI’s most active collaborators. Both of these publications contain a wealth of interesting information, so we hope you will take a moment to look through them. Please scroll down for more information. Collaborative activities are a major part of IPSI’s work, and we are always interested in hearing updates on IPSI collaborative activities or ideas for potential new collaborative activities, particularly as our next Steering Committee meeting approaches. Finally, we would like to gently remind all of our partners that if they have any new case studies or updates to already-submitted case studies, we are always eagerly awaiting these contributions. IPSI continues to grow and remain active in a great number of areas, so we hope you will find this newsletter a useful resource. As always, we thank you for subscribing, and for your continued support of IPSI. The Indicators of Resilience in SEPLS are an ongoing collaborative research activity by the United Nations University Institute for the Advanced Study of Sustainability (UNU-IAS), Bioversity International, the United Nations Development Programme (UNDP), and the Institute for Global Environmental Strategies (IGES). The set of 20 indicators has been field tested in many countries around the world, and a toolkit is planned for publication later this year based on the practical experiences gained from this testing. 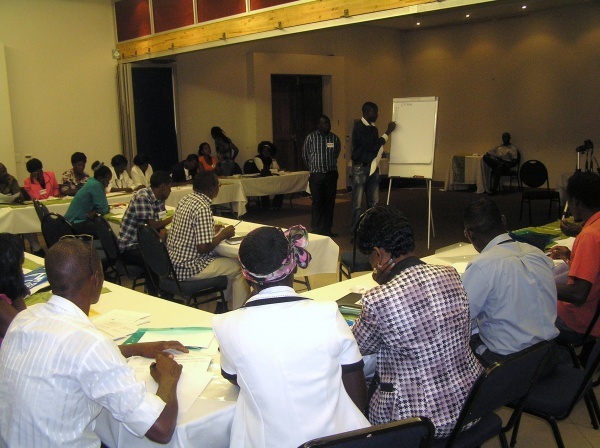 A baseline assessment workshop was held on 28 and 29 March 2014 at the Ipumbu-ya-Shilongo Conservancy in northern Namibia. This is a very new conservancy, and the purpose of the workshop was to gain an understanding of the residents’ perception of the current situation and future needs for sustainable resource management, and also to contribute to a landscape strategy to help determine how to best use funds from the UNDP’s Community Development and Knowledge Management for the Satoyama Initiative (COMDEKS) programme. COMDEKS project manager and IPSI Steering Committee member Diana Salvemini and IPSI Secretariat staff member William Dunbar met with UNDP Small Grants Programme (SGP) National Coordinator Nickey Gaseb in Ondangwa, Namibia to observe the assessment and provide any help and advice possible. A wide variety of stakeholders, from local traditional authorities to government representatives to natural resource monitors took part in the assessment, contributing to a lively exchange of views on challenges and opportunities for the conservancy. Lessons learned from the workshop will contribute not only to a better future for the Ipumbu-ya-Shilongo Conservancy, but also to present and upcoming projects and publications of all of the organisations involved. The IPSI Secretariat would like to thank our new friends in Namibia for their kind hospitality. Sustainable Development on Biodiversity and Ecosystems Conservation in Sabah (SDBEC) is a joint technical cooperation among the Sabah State Government, Malaysian Federal Government, and IPSI member Japan International Cooperation Agency (JICA) under Japan’s Official Development Assistance (ODA), running from July 2013 until June 2017. SDBEC will assist capacity development in respect to realizing a society in harmony with nature and sharing Sabah’s experiences nationally and internationally for biodiversity conservation and sustainable development. A field trip to the Klias Peatswamp Forest Field Centre (KPFFC) in Sabah was organized to learn about the management situation of the forest reserve by the Sabah Forestry Department (SFD) and to get some lessons which would contribute to MAB site management under SDBEC. The KPFFC is a hub for forest management and monitoring with offices, staff accommodation, a conference centre, and visitor facilities. The Klias peninsula was formed during the Holocene period, which began some 12,000 years ago as warmer conditions began to unlock the mantle of ice covering much of the earth. Gazetted in 1984, the Klias Forest Reserve is 3,630 hectares in size. Local communities want to do agriculture there because they have no land of their own, they do not have steady jobs, and they claim that their ancestors used to live and use the land. However, KPFFC office copes with these situations to reduce environmental and social impact through mutual dialogues with the local communities. Locally-owned eco-tourism is another major issue in the Reserve. One lesson learned from this field trip is that a ”Local Champion” is critical for the success of locally-owned eco-tourism. A Local Champion is a person who understands local ecosystem functions such as its capacity to accommodate impacts from outside,and knows how, when, and where to operate tours. It is expected that eco-tourism will be introduced under SDBEC for local livelihood improvement in MAB buffer zones. Identifying or training local people to become Local Champions is a key ingredient for sustainable income generation in an environmentally friendly manner. The Foundation for Research and Social Development (FIDES) is a non-profit organization whose purpose is to contribute to human development by promoting economic, social, cultural and environmental development of vulnerable populations. FIDES was founded in 2009 in Ecuador, South America. FIDES’ intervention with communities’ local families allows the generation of alternative livelihoods for some communities of Manabí through the protection and sustainable use of mangrove, dry forest, and tropical moist forest resources. The main activities of the organization are: ecological restoration of the mangrove ecosystem, establishment of ecological corridors, organic coffee crops under shade (shade trees), strengthening the capacity of community organizations and policy incidence, community tourism (ecological, cultural) and others. The picture below shows local youth reforesting a mangrove forest with FIDES. One of IPSI’s Collaborative Activities, the Ink-Cartridge Recycling “Satogaeri Project”, was featured on Nippo Business Co, Ltd.’s website plastic-recycle.jp. The Satogaeri Project is being carried out and promoted jointly by six major printer manufacturers (Brother, Canon, DELL, Hewlett-Packard Japan, Lexmark International, and Seiko Epson). The project offers a recycling system that aims to help customers make more environmentally-friendly choices and ultimately contribute to a recycling-oriented society. It also provides financial support to IPSI activities related to rebuilding SEPLS in northern Japan after the earthquake and tsunami of 2011.
International Satoyama Initiative researcher Hongyan Gu and Suneetha M. Subramanian have published an article about SEPLS and Satoyama Initiative principles, called “Drivers of Change in Socio-Ecological Production Landscapes: Implications for Better Management”. The article appears in a special issue of the journal Ecology & Society on “Sustaining Ecosystem Services in Cultural Landscapes: Analysis and Management Options”, edited by guest editors Tobias Pleininger, Claudia Bieling, Christian Schleyer, and Dan van der Horst. The article “draws on a variety of case studies from Asia and other parts of the world to understand the underlying driving forces that have led to the need for greater awareness and sustainable management of SEPLS”, and provides suggestions for future work. Please take a moment to look through the article here. IPSI partner Bioversity International and Local Initiatives for Biodiversity, Research and Development (LI-BIRD) have produced a pamphlet entitled “The Evolving Landscape of Agricultural Biodiversity Conservation”, with support by EcoAgriculture Partners and IPSI, on behalf of the Landscapes for People, Food and Nature Initiative. 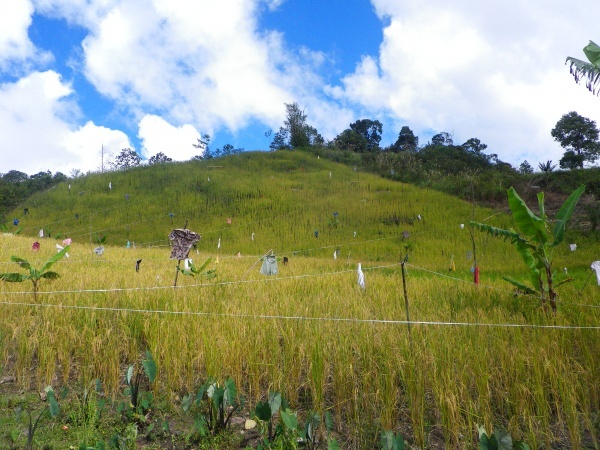 The pamphlet contains a wealth of information about application of the landscape approach in agricultural biodiversity management and community-based biodiversity management, gained from practical experience in Begnas, Nepal. We highly recommend taking a look at the pamphlet, which is available for download here.